Dependable and durable laminate with style is perfect for the practical professional. No assembly required for quick and easy installation. Straight edges provide a streamlined look. 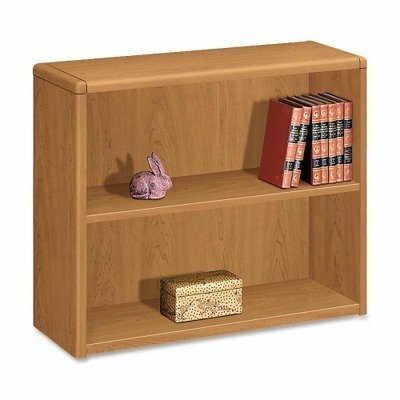 Color: Harvest; Material(s): Woodgrain Laminate; Shelf Count: 5; Overall Height: 71". Dependable and durable laminate with style is perfect for the practical professional. No assembly required for quick and easy installation. Straight edges provide a streamlined look. 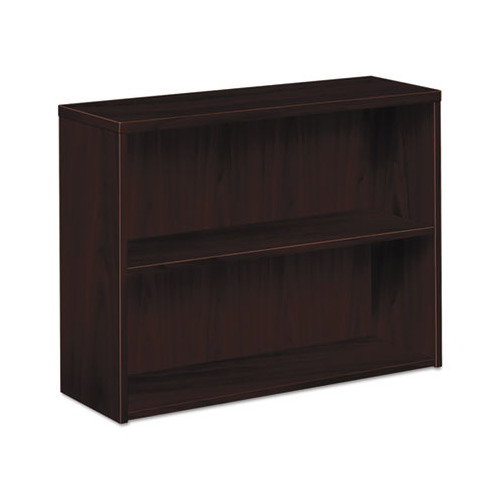 Color: Mahogany; Material(s): Woodgrain Laminate; Shelf Count: 5; Overall Height: 71". Dependable and durable laminate with style is perfect for the practical professional. No assembly required for quick and easy installation. Straight edges provide a streamlined look. 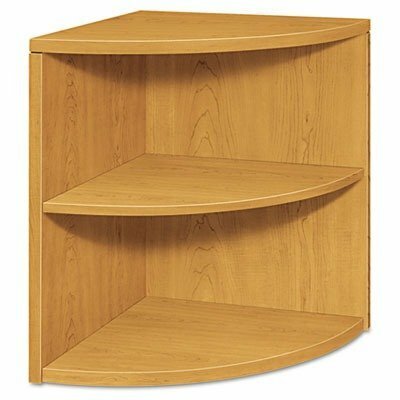 Color: Harvest; Material(s): Woodgrain Laminate; Shelf Count: 4; Overall Height: 57 1/8". Dependable and durable laminate with style is perfect for the practical professional. No assembly required for quick and easy installation. Straight edges provide a streamlined look. 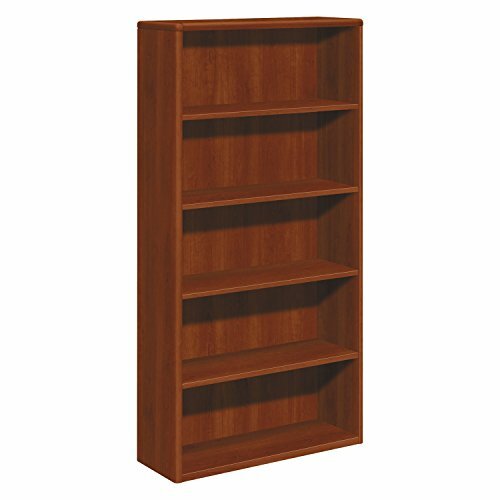 Color: Mahogany; Material(s): Woodgrain Laminate; Shelf Count: 4; Overall Height: 57 1/8". Dependable and durable laminate with style is perfect for the practical professional. No assembly required for quick and easy installation. Straight edges provide a streamlined look. 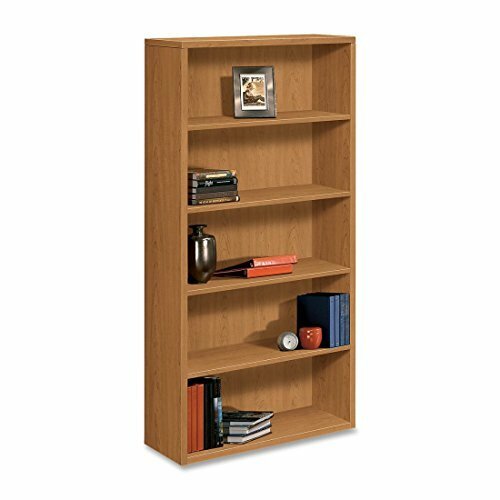 Color: Harvest; Material(s): Woodgrain Laminate; Shelf Count: 3; Overall Height: 43 3/8". Dependable and durable laminate with style is perfect for the practical professional. No assembly required for quick and easy installation. Straight edges provide a streamlined look. 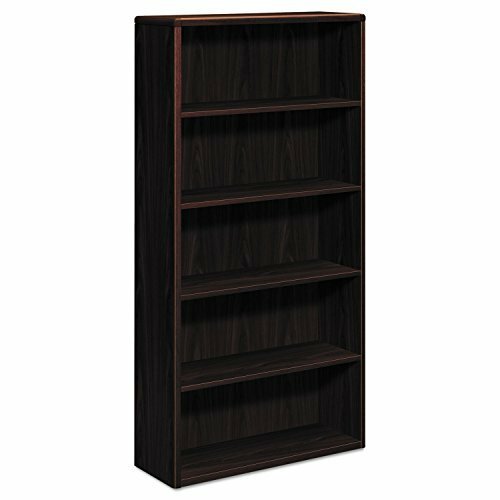 Color: Mahogany; Material(s): Woodgrain Laminate; Shelf Count: 3; Overall Height: 43 3/8". Dependable and durable laminate with style is perfect for the practical professional. No assembly required for quick and easy installation. Straight edges provide a streamlined look. 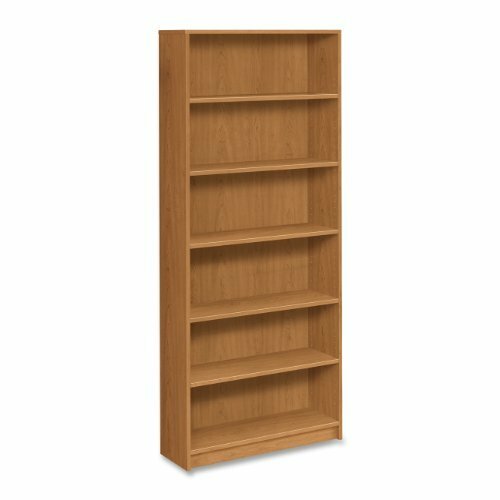 Color: Harvest; Material(s): Woodgrain Laminate; Shelf Count: 2; Overall Height: 29 5/8". Dependable and durable laminate with style is perfect for the practical professional. No assembly required for quick and easy installation. Straight edges provide a streamlined look. 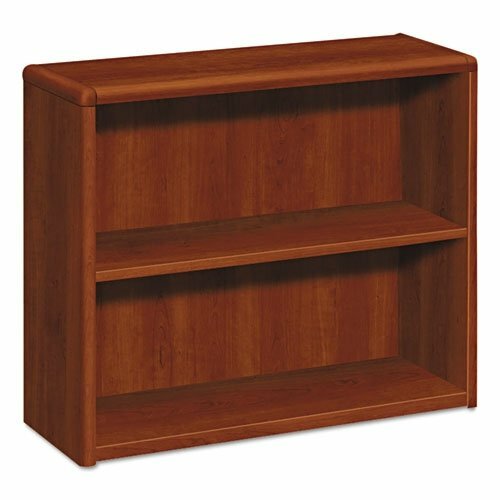 Color: Mahogany; Material(s): Woodgrain Laminate; Shelf Count: 2; Overall Height: 29 5/8". Ideal for storing books, photos and mementos. Durable abrasion- and stain- resistant laminate. Shelf adjusts to meet your needs. 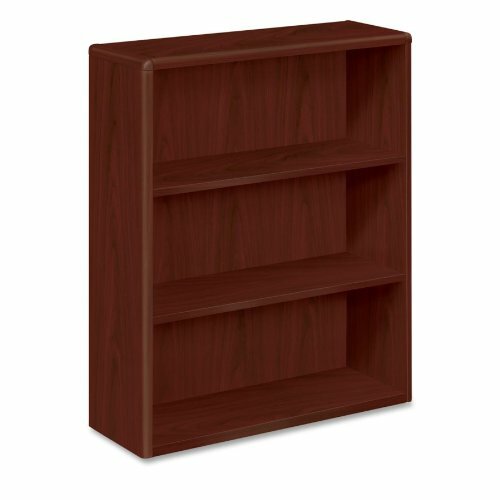 Color: Harvest; Material(s): Laminated; Shelf Count: 2; Overall Height: 29 1/2". Ideal for storing books, photos and mementos. Durable abrasion- and stain- resistant laminate. Shelf adjusts to meet your needs. 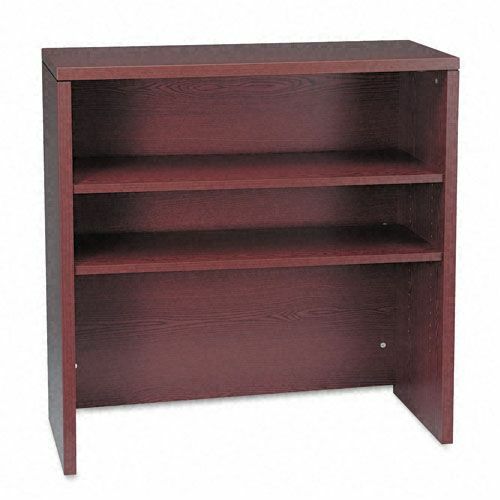 Color: Mahogany; Material(s): Laminated; Shelf Count: 2; Overall Height: 29 1/2". A modular management solution that combines stylish profiles and elegant accents with top-grade fit and finish. Abrasion- and stain-resistant laminate with elegant hardwood trim. Rounded corners and waterfall edge for a contemporary look. Two shelves adjust in 1 1/4" increments. Convenient cord grommet at bottom of back. Color: Cognac; Overall Width: 32 5/8"; Overall Depth: 14 5/8"; Overall Height: 37 1/8". A modular management solution that combines stylish profiles and elegant accents with top-grade fit and finish. Abrasion- and stain-resistant laminate with elegant hardwood trim. Rounded corners and waterfall edge for a contemporary look. Two shelves adjust in 1 1/4" increments. Convenient cord grommet at bottom of back. Color: Harvest; Overall Width: 32 5/8"; Overall Depth: 14 5/8"; Overall Height: 37 1/8". A modular management solution that combines stylish profiles and elegant accents with top-grade fit and finish. Laminate accented by rounded corners and waterfall edge for a contemporary look. Finished back provides a clean, professional appearance and allows placement anywhere--not just against a wall. Shelf count includes bottom of bookcase. 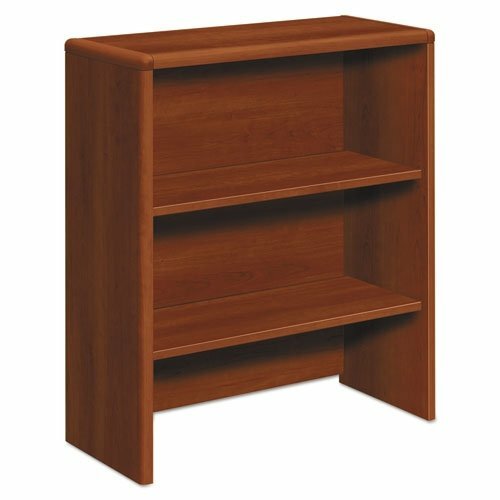 Color: Cognac; Material(s): High-Pressure Laminate; Shelf Count: 5; Overall Height: 71". A modular management solution that combines stylish profiles and elegant accents with top-grade fit and finish. Laminate accented by rounded corners and waterfall edge for a contemporary look. Finished back provides a clean, professional appearance and allows placement anywhere--not just against a wall. Shelf count includes bottom of bookcase. Color: Mahogany; Material(s): High-Pressure Laminate; Shelf Count: 5; Overall Height: 71". A modular management solution that combines stylish profiles and elegant accents with top-grade fit and finish. Laminate accented by rounded corners and waterfall edge for a contemporary look. Finished back provides a clean, professional appearance and allows placement anywhere--not just against a wall. Shelf count includes bottom of bookcase. 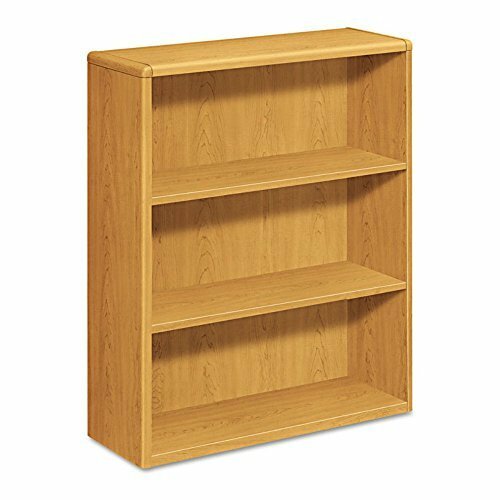 Color: Harvest; Material(s): High-Pressure Laminate; Shelf Count: 5; Overall Height: 71". A modular management solution that combines stylish profiles and elegant accents with top-grade fit and finish. Laminate accented by rounded corners and waterfall edge for a contemporary look. Finished back provides a clean, professional appearance and allows placement anywhere--not just against a wall. Shelf count includes bottom of bookcase. 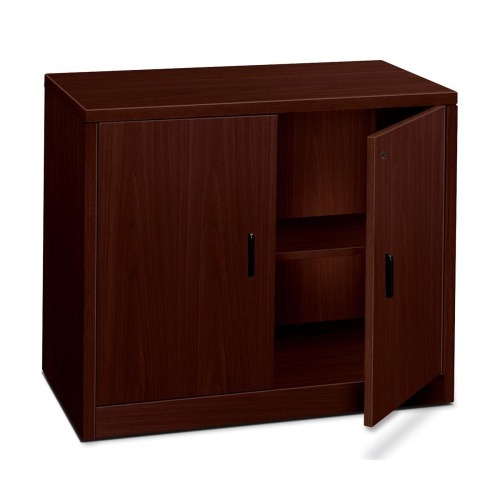 Color: Cognac; Material(s): High-Pressure Laminate; Shelf Count: 4; Overall Height: 57 1/8". A modular management solution that combines stylish profiles and elegant accents with top-grade fit and finish. Laminate accented by rounded corners and waterfall edge for a contemporary look. Finished back provides a clean, professional appearance and allows placement anywhere--not just against a wall. 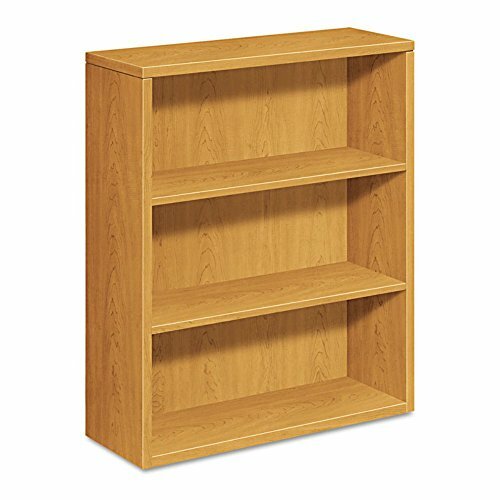 Shelf count includes bottom of bookcase. 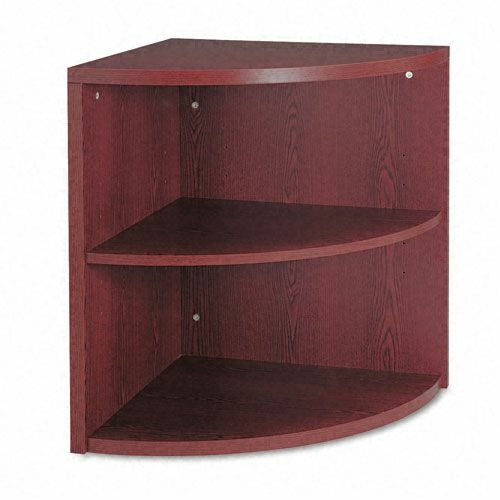 Color: Harvest; Material(s): High-Pressure Laminate; Shelf Count: 4; Overall Height: 57 1/8". A modular management solution that combines stylish profiles and elegant accents with top-grade fit and finish. Laminate accented by rounded corners and waterfall edge for a contemporary look. Finished back provides a clean, professional appearance and allows placement anywhere--not just against a wall. Shelf count includes bottom of bookcase. 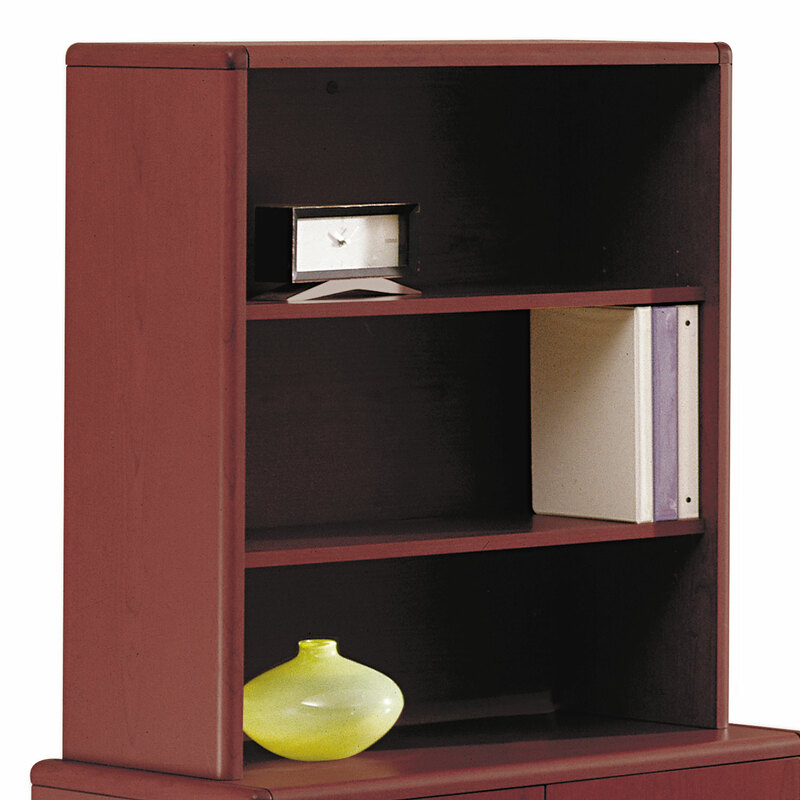 Color: Mahogany; Material(s): High-Pressure Laminate; Shelf Count: 4; Overall Height: 57 1/8". A modular management solution that combines stylish profiles and elegant accents with top-grade fit and finish. Laminate accented by rounded corners and waterfall edge for a contemporary look. Finished back provides a clean, professional appearance and allows placement anywhere--not just against a wall. Shelf count includes bottom of bookcase. Color: Cognac; Material(s): High-Pressure Laminate; Shelf Count: 3; Overall Height: 43 3/8". A modular management solution that combines stylish profiles and elegant accents with top-grade fit and finish. Laminate accented by rounded corners and waterfall edge for a contemporary look. Finished back provides a clean, professional appearance and allows placement anywhere--not just against a wall. Shelf count includes bottom of bookcase. 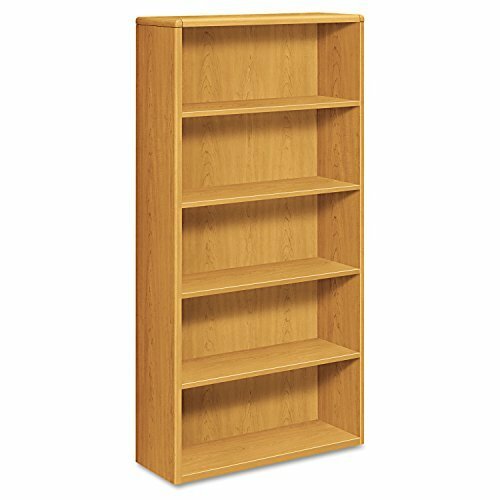 Color: Harvest; Material(s): High-Pressure Laminate; Shelf Count: 3; Overall Height: 43 3/8". A modular management solution that combines stylish profiles and elegant accents with top-grade fit and finish. Laminate accented by rounded corners and waterfall edge for a contemporary look. Finished back provides a clean, professional appearance and allows placement anywhere--not just against a wall. Shelf count includes bottom of bookcase. 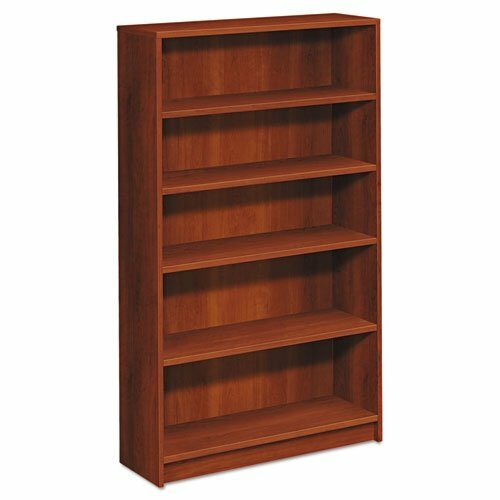 Color: Mahogany; Material(s): High-Pressure Laminate; Shelf Count: 3; Overall Height: 43 3/8". A modular management solution that combines stylish profiles and elegant accents with top-grade fit and finish. Laminate accented by rounded corners and waterfall edge for a contemporary look. Finished back provides a clean, professional appearance and allows placement anywhere--not just against a wall. Shelf count includes bottom of bookcase. 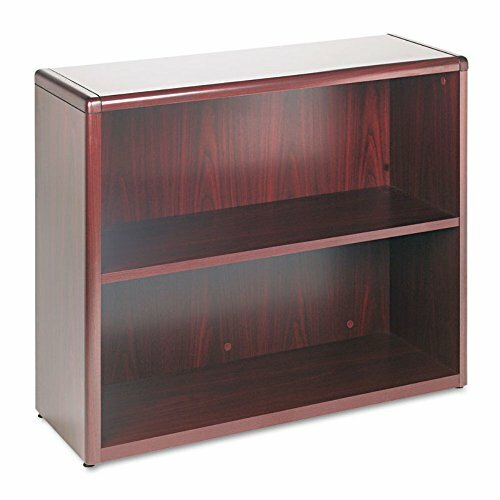 Color: Cognac; Material(s): High-Pressure Laminate; Shelf Count: 2; Overall Height: 29 5/8". A modular management solution that combines stylish profiles and elegant accents with top-grade fit and finish. Laminate accented by rounded corners and waterfall edge for a contemporary look. Finished back provides a clean, professional appearance and allows placement anywhere--not just against a wall. Shelf count includes bottom of bookcase. 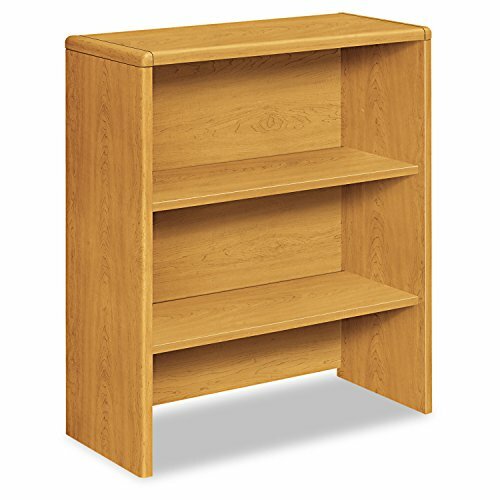 Color: Harvest; Material(s): High-Pressure Laminate; Shelf Count: 2; Overall Height: 29 5/8". A modular management solution that combines stylish profiles and elegant accents with top-grade fit and finish. Laminate accented by rounded corners and waterfall edge for a contemporary look. Finished back provides a clean, professional appearance and allows placement anywhere--not just against a wall. Shelf count includes bottom of bookcase. 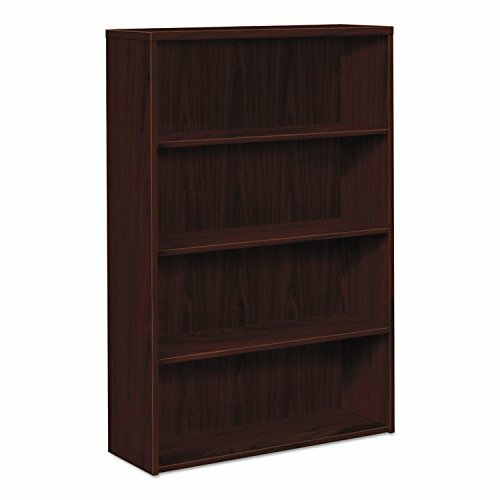 Color: Mahogany; Material(s): High-Pressure Laminate; Shelf Count: 2; Overall Height: 29 5/8". Durable construction plus clean lines equal classic storage style. 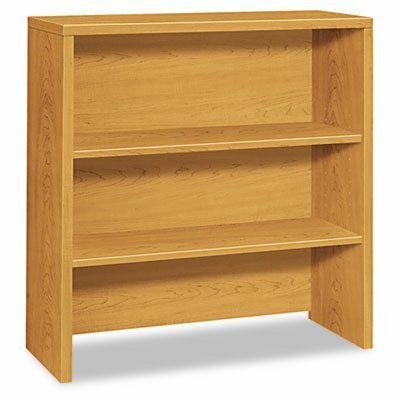 Adjustable shelf bookcase. Long lasting wear-resistant laminate with durable PVC edges. Four adjustable leveling glides. Three Adjustable. 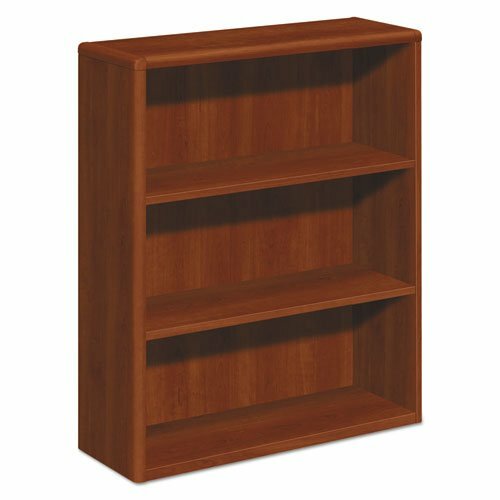 Color: Cognac; Material(s): Laminate; Shelf Count: 5; Overall Height: 60 1/8". Durable construction plus clean lines equal classic storage style. 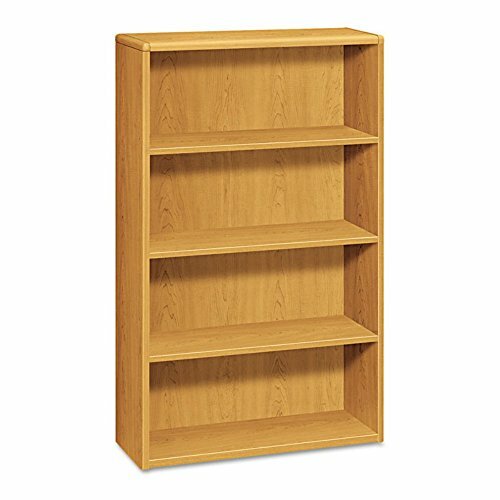 Adjustable shelf bookcase. Long lasting wear-resistant laminate with durable PVC edges. Four adjustable leveling glides. Three Adjustable. 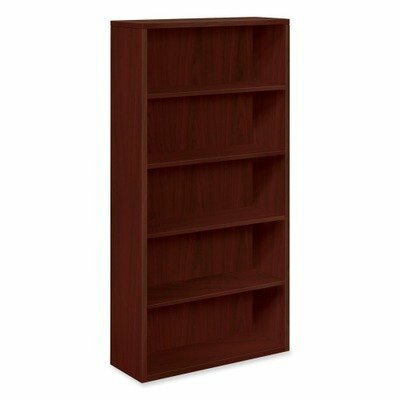 Color: Harvest; Material(s): Laminate; Shelf Count: 5; Overall Height: 60 1/8".